The employee described the suspect as being a white male, approximately 40 years of age, approximately 5`6" to 5`7", with a skinny build, wearing a gray colored jacket, a ball cap and jeans. The investigation was assisted by Cowley County Sheriff`s Office and the Cowley County Trackers. Any person who may have witnessed this or saw anyone matching this description is asked to contact Winfield Police Department at (620) 221-5555 or Cowley County Crime Stoppers at (620) 221-7777. The Winfield Police Department is currently investigating multiple incidents involving citizens getting tires slashed over the Thanksgiving Holiday Weekend. To this date, twenty different vehicles have been identified as being damaged between November 27 and November 30th. The Winfield Police Department is asking help from the community in obtaining information which leads to the arrest of the person/s responsible. To supply information regarding this matter, please call the Winfield Police Department at (620) 221-5555. Information can also be given through the Cowley County Crime Stoppers by calling (620) 221-7777 or (620) 442-7777 or through the web at Cowley County Crime Stoppers Web Tips at https://www.tipsubmit.com/WebTips.aspx?AgencyID=551. Any information supplied through Crime Stoppers may be done anonymously and a cash reward of up to $1000.00 may be paid to the person/s supplying information, leading to an arrest and conviction for these offenses. On January 1st, 2013 at approximately 4:50 AM, officers responded to the 400 Block of North Park Place in reference to a shooting. Upon investigating officers determined there was a single shot from the south west that entered the residence through a bedroom window at the rear of the residence. 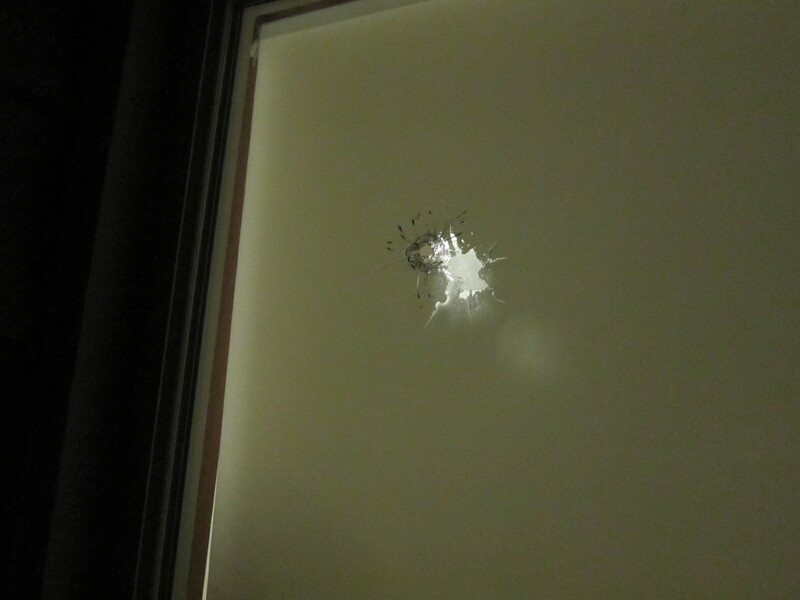 The bullet went through two walls of sheet rock before hitting the ceiling and then ricocheting off the ceiling and then landing on the other side of the room where it was found on top of some papers resting on a plastic shelf. The residence was occupied at the time and there were several people inside the residence when the shooting occurred making this a very dangerous and potential lethal incident. Based on the bullet’s size it appeared to be of a .30 caliber. However, the exact caliber is unknown, and the make and model of the weapon used remains unknown as well. The Winfield Police Department asks if anyone has any information about this incident would call the Winfield Police Department at 620-221-5555. Reporters can remain anonymous by using Crime Stoppers and calling 620-221-7777. Anonymous tips can be submitted by using the web-tip submit at www.accs.crimestoppersweb.com. Gun safety has always been a big concern for the Winfield Police Department and there are a variety of ways to keep your firearms safely secured in your residence. Those interested in obtaining this information can call 620-221-5555. Crime Stoppers would like help with the following crimes committed in Winfield during the months of October and November. Over the last couple of months several burglaries to vehicles have been reported in several areas of the city. These areas include 1600-2000 Block of Loomis, 1000 Block of Manning, 1600-1700 Block of Millington, 1400 Block of Fuller, 100 Block of E. 16th, 200 Block of E. 17th, 1900-2000 block of Main, and the 2200 Block of Pike Road. Although these burglaries have been reported in different places the method of entry to these vehicles are similar. 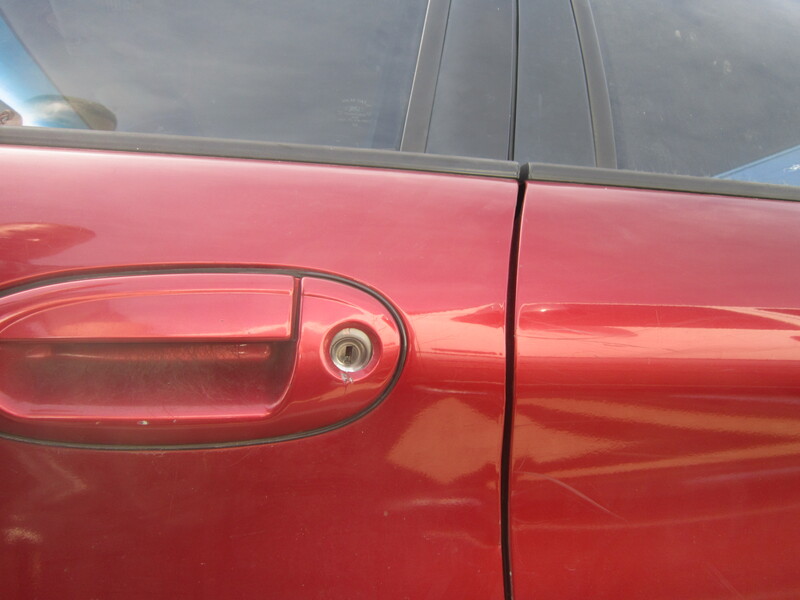 It is believed the perpetrators are using some type of tool to “punch” open the locking mechanisms of the vehicles to gain entry. Upon entry several items including electronic devices, money and other assorted items have been taken. The Winfield Police Department encourages everyone to lock and secure their vehicles at night. They also ask, if possible to secure valuable items inside the residence if possible. Any knowledge or information about these burglaries can be relayed to the Winfield Police Department at 620-221-5555, or Crime Stoppers at 620-221-7777, or visit the Crime Stoppers Website at www.accs.crimestoppersweb.com. Examples of locks being “punched” by an unknown tool. The Winfield Police Department received a 911 call about 10:50 PM Tuesday July 31st, 2012 reporting a Pizza Hut delivery employee was the victim of an armed robbery in the 1200 block of Stewart Steet in Winfield. The victim was not injured and an undisclosed amount of cash was stolen. The Police Department continues to investigate this matter and is asking for assistance from anyone who may have information related to this incident. Anyone with information is asked to call the Winfield Police Department at 620-221-5555. To provide information and remain anonymous call the Cowley County Crime Stoppers at 620-221-7777 or submit a webtip.